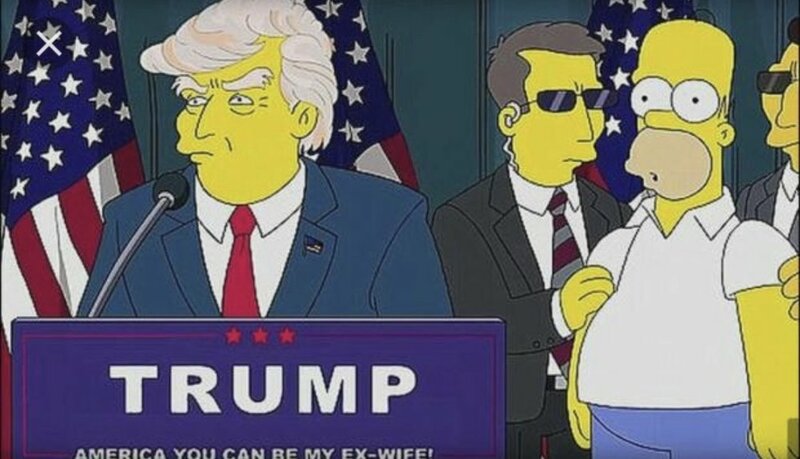 The Simpsons predicted the Trump presidency decades before it happened. Notice how similar the cartoon Trump graphics are to the real ones we’ve all seen on the podium. This “joke” was broadcast in 2000. Look it up yourself if you’d like. The writers of the Simpsons are well known to be Ivy League insidery guys.